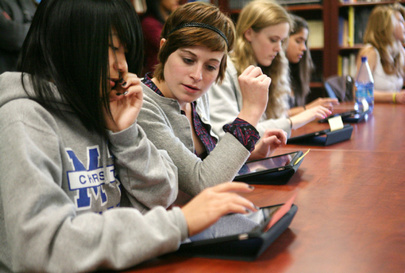 How Does Your School Wireless Network Handle the iPad? School’s back in session! Since classes have resumed, integrating or updating wireless technology into your school’s environment can seem like an overwhelming task. Creating a clear plan that covers all aspects of your wireless network infrastructure, though, will help you avoid any technology initiative failures as a result of all the new mobile devices on your campus. 1) Wireless Network – How will the iPads connect to the wireless network? Will the iPads connect through a separate network or student guest network? Does your wireless network have the ability to create a separate policy that identifies iPads on your existing network, giving them different access rules or web filtering? 2) Signal Strength – iPads require a strong and reliable connection to the web. Have you thoroughly tested the speed of your internet connection throughout all times of the day? Do teachers have reliable connection inside the learning areas? How is the wireless network signal strength and distribution? Do you have the proper wireless network infrastructure to support a successful implementation? Is the signal being distributed evenly and reliably to all parts of the campus? Have you tested for dead spots? Will your wireless network be able to support a large volume of devices connecting at the same time without sacrificing network speed? 3) iPad Management – How will your school keep track of the location to each iPad? Will the iPads be stored in a mobile cart? How will you identify or assign users to the iPad? Equipping your school for a mobile device implementation can be an extensive process, especially since classes have resumed. There are many wireless network infrastructure considerations to review to make sure your school can implement wireless mobile devices. Let SecurEdge Networks help analyze your current wireless network to prepare your school for a mobile device implementation project. Contact us to get started with a Free Consultation or call us directly at 704-900-4470.